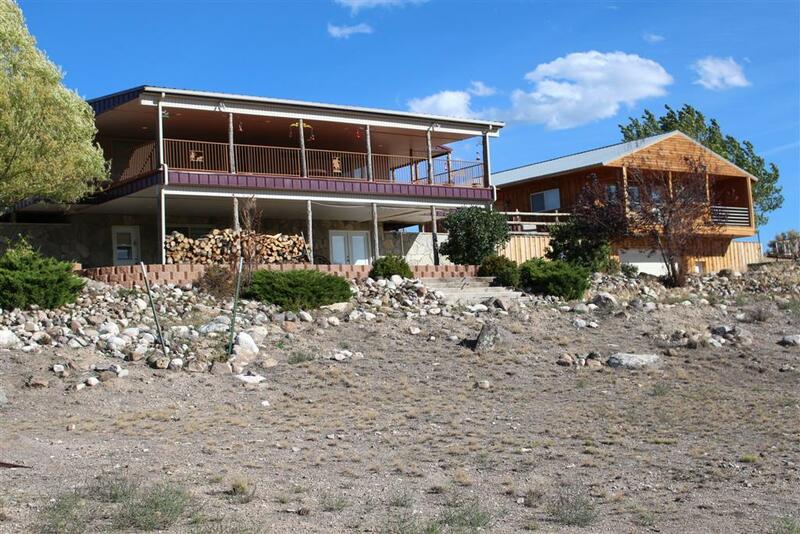 This listing includes 1 main house with main floor (1,189 sf) and full finished walkout basement ( 1,189 sf) AND a guest house/party house which is 24 x 40, for an additional 960 s.f main floor with a shop/garage underneath at ground level. The party house includes a large living room area with rocked surround for woodstove, a LARGE bedroom, walk in closet and full bath, in addition to a half bath for the guests in the party room. Both houses are super custom and superior finish work. Custom cabinetry, granite counter tops, hardwood flooring, big decks for the panoramic views of the valley, and more. Full RV hookup, irrigated horse pasture, fences in new condition, private lane access from SR 22. Also city culinary water, power, telephone and propane. 10 shares Bench Irrigation water.